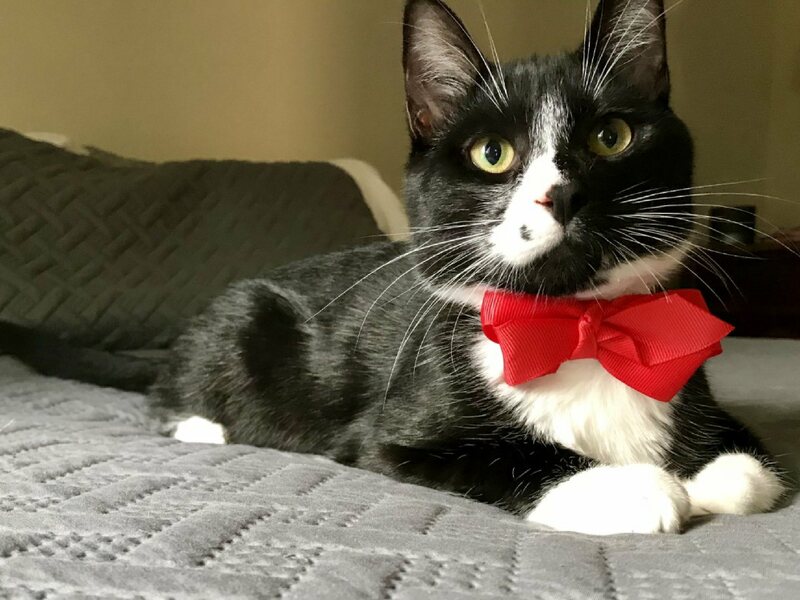 OSWEGO – Caesar is a handsome, six-month old Tuxedo. Doesn’t he look great with his bow tie? He is shy at first, but once he warms up to you he is very loyal and attached. He loves to talk, even if you don’t talk back. His favorite thing to do is play with his toy mice and he just recently learned how to fetch. He is very sweet and lovable, but on his own terms. That means he’s not much of a cuddler, or a lap cat, and he comes and goes as he pleases, (sort of like an emperor). He is great with other cats, neutered and up to date with all his shots and ready to come and rule you. If you are interested at meeting (or better yet, adopting) Caesar, please email your inquiries to [email protected] or call our office during business hours at 315-207-1070. You can meet more cats for adoption at the Oswego County Humane Society Cats and Snacks on October 28 from 11 a.m. to 1 p.m. and 2 to 4 p.m. at our office. Cats to play with, free refreshments, admission fee is a donation of cat or dog food to our Pet Food Pantry.